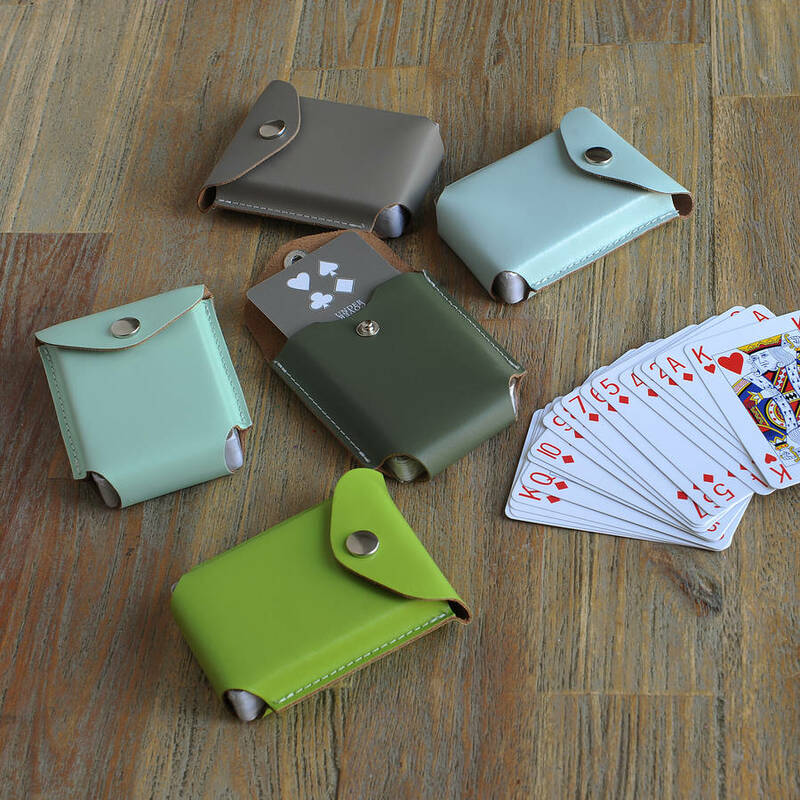 Made in England, this luxurios real leather snap fastened case has an exclusive pack of Undercoveruk playing cards inside. 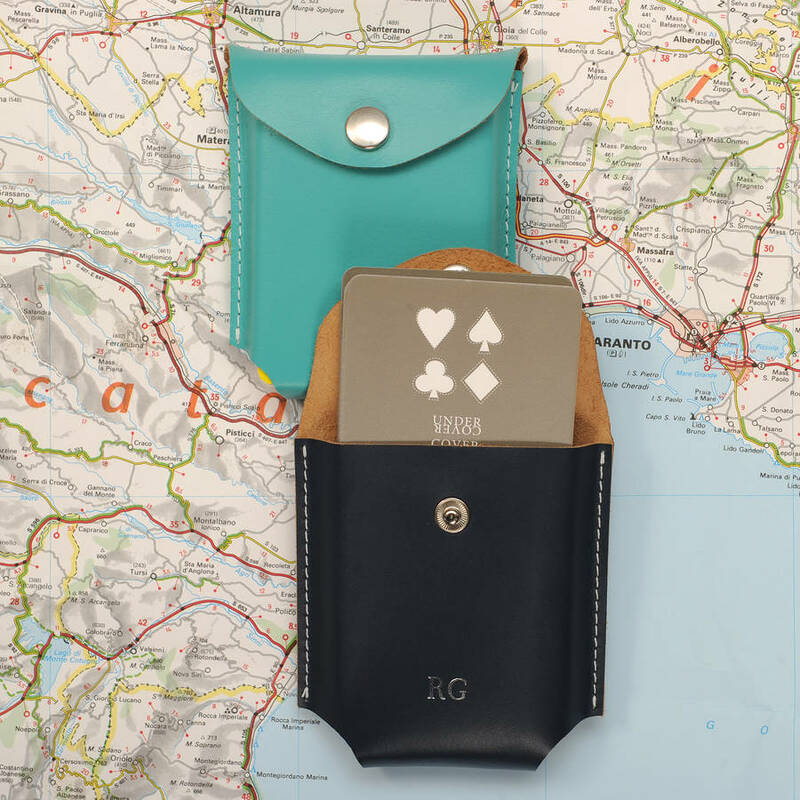 A unique gift for travellers who like to keep themselves entertained. Also perfect for those long winter nights in at home or slip it into your pocket and pop down the local for a game. Compact and easily fastened up and put away for the next time. This can be personalised in silver blocking with your initials. If you are looking for that unusual gift for your kids on their gap year or Grandpa or Uncle Fred then this is the perfect present. 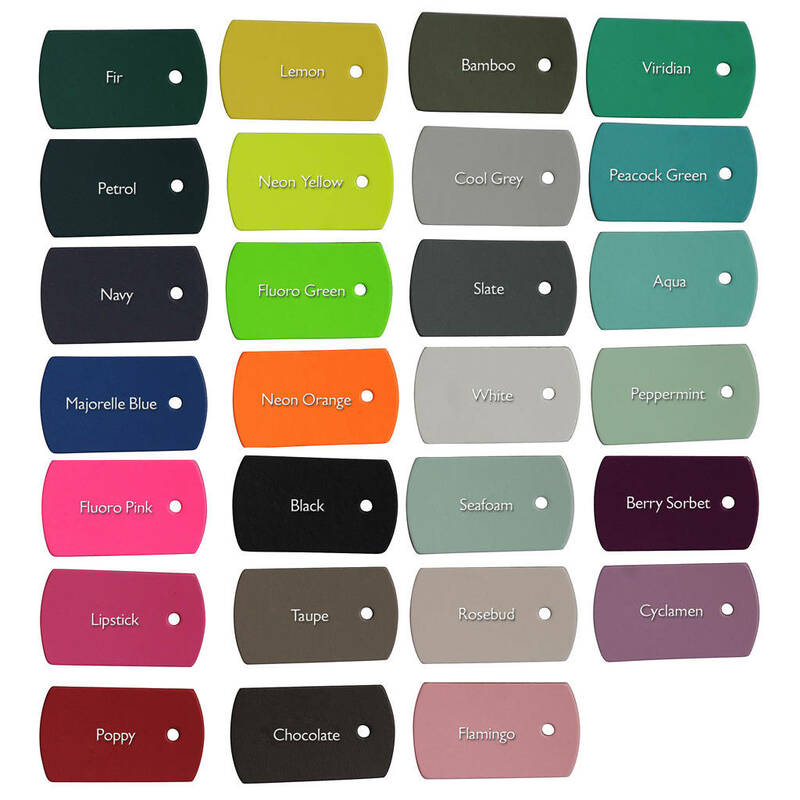 All fluorescent and neon colours are as described please be aware of this when choosing your colours. Finally your order has been received into our workshop and due to the quick turn around of this handmade product you cannot change the colour and personalisation options you have made.